Britain is sending a military vessel to assist victims of Hurricane Irma in the Caribbean and is assigning £12 million ($15.7 million, 13 million euros) in aid, the government said Thursday. 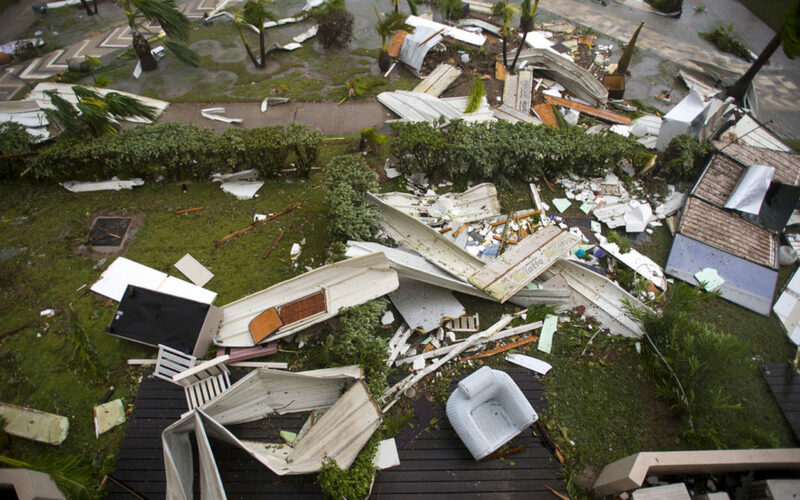 Hurricane Irma — one of the most powerful Atlantic storms on record — has hit the Caribbean, claiming at least nine lives and turning the tropical islands of Barbuda and St Martin into mountains of rubble. The British fleet auxiliary boat RFA Mounts Bay is already in the region and “should reach the affected territories later today,” Alan Duncan, a junior British foreign minister, told parliament. He also said that the Department for International Development (DFID) and the Foreign Office were on “full alert” and doing their “utmost” with a “great wealth of expertise to deploy on this”. Charter flights tasked with delivering additional supplies as appropriate also stand ready. In a statement released later on Thursday, Foreign Minister Boris Johnson reaffirmed the UK’s commitment to respond to the “catastrophic damage” caused by Irma. Prime Minister Theresa May also held a phone conversation with French President Emmanuel Macron, during which they agreed to coordinate responses. British billionaire Richard Branson, whose private island of Necker was hit by Irma, released a statement on Thursday to say that all the members of his team were “accounted for as safe as well”. “Necker Island felt the effects of Hurricane Irma and sustained extensive damage, the extent of which we are still assessing,” the statement said. “We will do whatever we can to support and assist our local community through this extremely testing time”. In an earlier statement, he had said that he and his team would be hunkering down in his concrete wine cellar to face the storm, joking that there would be “little wine left in the cellar when we emerge”. “Thousands” of British holidaymakers are currently in the Caribbean, according to the Association of British Travel Agents. British Airways warned that “as the storm continues to make its way across the region, flights to and from the region will be affected over the next two days and in to the weekend”. Travel group Thomas Cook said in a statement on Thursday that as instructed by Cuban authorities, they would be evacuating their customers currently in the resorts of Cayo Coco, Cayo Guillermo and Cayo Santa. Irma was packing maximum sustained winds of up to 185 mph (295 kph) as it followed a projected path that would see it hit the northern edges of the Dominican Republic and Haiti on Thursday, continuing past eastern Cuba before veering north for Florida.